We’re living and teaching in some challenging times, thanks in no small part to long-festering and deepening economic inequality. The consequences of these economic divides are felt by many, but have been particularly galvanizing for those in the early-to-mid stages of their working lives. These workers are struggling to make their stagnant wages stretch further and further to cover rising rents and crippling student debt. Many are having a hard time seeing a finish line. Teachers in particular have been feeling the squeeze, with their incomes averaging 17 percent less than comparably educated workers with the same level of experience, and schools lacking funding and resources. Given the scope of these political and economic challenges, it’s likely students will inherit these struggles in their working lives. They may already be experiencing inequality through their parents' struggles. From this vantage point, inequality can feel like a permanent fact of life. But the courageous teachers striking for better school and work conditions in West Virginia, Oklahoma, Kentucky, Arizona and Colorado give me hope by serving as an inspiring present-day example of combating inequality. This mass movement is an empowering reminder of the history of collective organization, and the way united people advocating for change can make material improvements to the world. Unfortunately, this movement also reminds me of how little exposure students get to the history of labor, a history that could help them process inequality. Several studies have found a direct correspondence between the strength of unions and narrow gaps between the rich and the poor in the United States; when union membership was highest, the share of wealth was most equal. Today, union membership has shrunk to a low point over the past 50 years; now only 1 in 10 workers belongs to a union, down from 1 out of 3 in the 1960s. This is why unions and the labor movement seem like an artifact of a different time -- or even totally alien -- for many of our students. With union membership so low, it is unlikely students even know someone in a union. If they do, that person might just be a teacher. If we and our students are to solve inequality, we have to reimagine what labor activism looks like, and the teacher strikes provide the perfect platform to spark those conversations. These are discussions teachers are perfectly poised to lead and that students can relate to, given the near-weekly headlines about teachers taking to the picket lines. They’re also discussions that balance the bleak realities of inequality with a people-powered path to a better future. But take note that my emphasis on discussion here is intentional. Teachers need to be careful not to engage in any explicit political advocacy in the classroom. By keeping the focus on learning about labor history and how the movement has evolved over time and connects the present moment, students can come to their own conclusions about any modern-day political battles. 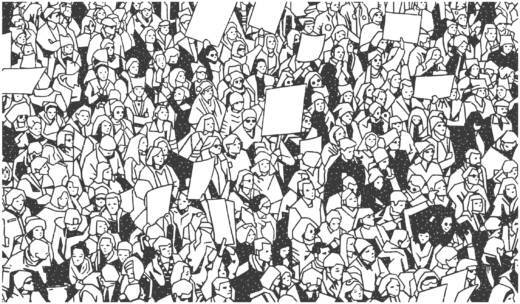 So if you’re inspired like me, I’ve collected some resources below for contextualizing the teacher strikes in terms of the broader history of labor, unions and organizing. To get students started, have them dig into recent news coverage of the teacher strikes. You can, of course, direct students to relevant articles from newspapers and blogs, but there are also a host of resources specifically tuned to classroom needs. Newsela is a particularly good, up-to-date resource with articles on the strikes that can be adjusted to students’ reading levels. It can be tough to find quality resources on social studies and specifically labor. Many apps and sites gloss over the significant impact of labor and unions, as well as the deep intersection between labor and other struggles. There are, however, some extraordinary, research-backed websites out there. Some of my personal favorites include the American Social History Project, especially their Who Built America? program. The Zinn Education Project has a whole set of resources specifically on labor history, but the entire website is worth digging into. Beyond the Bubble is a project by the Stanford History Education Group that offers primary source learning materials paired with excellent, skills-building assessments, many of which cover labor-related topics. Finally, if you’re teaching labor history, you’re gonna address the New Deal, and for that you’ve gotta check out the Living New Deal. Finally, while its focus is far broader than just labor issues, Rethinking Schools is an indispensable resource. I’d specifically recommend this exceptional lesson plan and list of related materials. Teachers have long used Upton Sinclair’s The Jungle to give students a window into the horrific conditions that spurred the labor movement in the early 20th century. For a more modern classic, check out Barbara Ehrenreich’s Nickel and Dimed, which chronicles the plight of service-industry workers, a sector of the economy that has largely replaced the factory jobs once associated with unions. For younger kids, you might look to the list of additional resources for elementary kids in this lesson plan. In terms of film, Inequality for All gives students a nice overview of the causes of growing economic inequality. To help students process the role unions played in communities, turn to Harlan County USA, one of the best documentaries of all time, which focuses on a harrowing miner strike in Kentucky. Roger & Me can be a good platform for discussing the end of labor’s dominance and its impact on the Midwest. To fully grasp the importance and history of labor and collective organizing, students must understand how fighting for better wages, benefits, and working conditions has been most effective when aligned with civil rights movements. Let’s not forget, for instance, that Dr. King’s “I Have a Dream Speech” took place during the March on Washington for Jobs and Freedom, or that a key element of the Black Panthers' platform was full employment, or that the first farmworkers’ union was thanks to Latino/a activists like César Chávez and Dolores Huerta, or that women working in textile mills pioneered earliest organizing efforts in the U.S., and so on. To help illuminate how labor issues are social justice issues, teachers can turn to many of the same resources listed above, but I also wanted to call attention to one site that does a great job of intersectional work: Civil Rights Teaching. The site focuses on reframing traditional historical narratives or centering marginalized histories, and the section on Labor, Land, and Economics is no exception.